During 2017, the partnership between HGA and Anadarko achieved strong operational excellence, including buildouts totaling more than 445 miles of pipeline design and survey on the Reeves County and Loving County development projects. Construction continues on the Reeves County buildout, with HGA’s survey crews collecting geospatial data for all pipe, valves, and fittings. The information gathered is being turned over in the form of a geodatabase that will provide the client a valuable record of all installed pipelines and fabrications. As the pipeline construction for the Reeves buildout is nearing full mechanical completion, attention is beginning to shift to the Loving County buildout. HGA finalized the preliminary design and survey during Q1 2018 for the Loving County buildout, with more than 300 plats, 520 alignment sheets, and 80 piping drawings prepared to support the construction efforts that began in late December. HGA is now performing construction stakeout and beginning as-built survey on the Loving buildout pipelines, with construction expected to last through much of 2018. While field survey efforts are focused primarily on construction, HGA’s engineering and design team have already begun work on many new efforts within the Delaware Basin. With the larger systems coming into place through the Reeves and Loving buildouts, much of the focus has shifted to design for bringing new wells online. 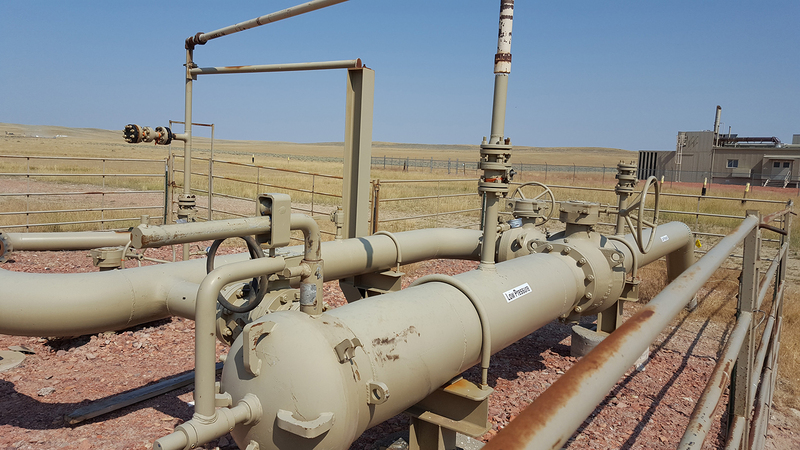 It appears that new well connects, along with modifications and replacements to improve existing lines, will remain a key focal point for HGA’s design efforts to support the Delaware Basin expansion. HGA is always looking to offer new levels of support for our clients. We continue to strengthen our relationship with Anadarko by pursuing unique opportunities outside of our original survey and design roles. Recently, HGA’s engineering group had the opportunity to assist with hydrotest development plans in an effort to ensure pipeline safety and performance. We also had the opportunity to assist Anadarko project managers with preparing construction packages, combining survey, engineering, and design data into one package. This package provides all of the information that construction contractors will need during the pipeline installation process. Through relationships fostered in the Delaware Basin expansion efforts, HGA has recently been offered the opportunity to provide similar services to Anadarko’s project team in the Colorado and Wyoming areas. These efforts will allow HGA to assist Anadarko in introducing some of the same processes and efficiencies developed in West Texas in newer expansions within the DJ Basin, including the Wattenberg and Niobrara fields. While the terrain may be different, HGA’s commitment to clients remains the same, allowing HGA to leverage experience and continue to build and foster long-term customer relationships. Next Next post: We’ve opened a new location!